I realized that I forgot to post what I made for my Preschool Busy Bag group! Whoops! That’s what happens during finals week. My brain is full of Environmental Technology. Heh. 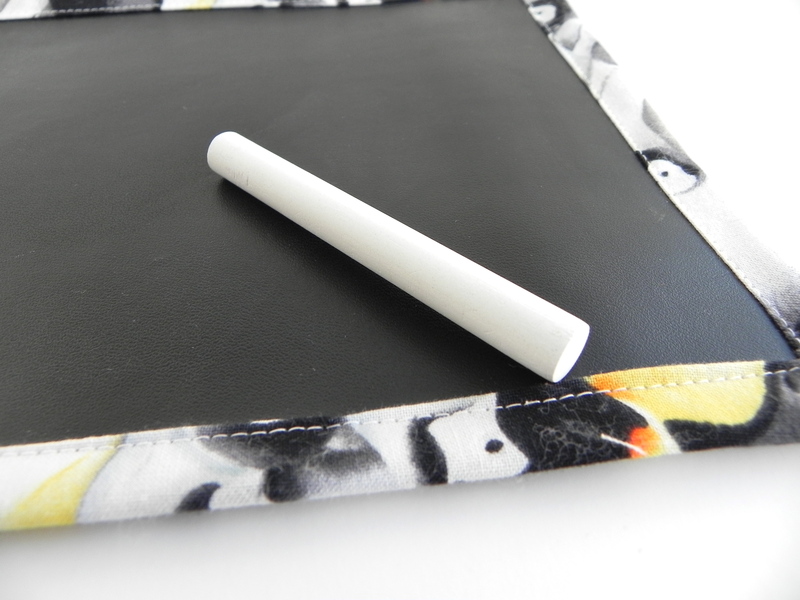 They have about a 6 1/2 by 8 inch drawing space and a little pocket for putting chalk in. 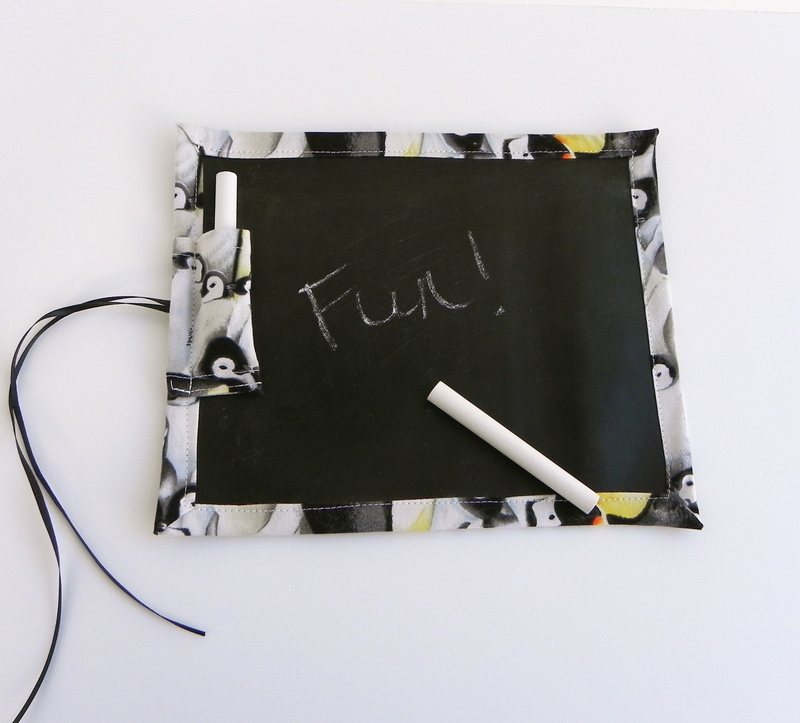 They also roll up and tie for easy storage or tossing in a bag to take along to play with. 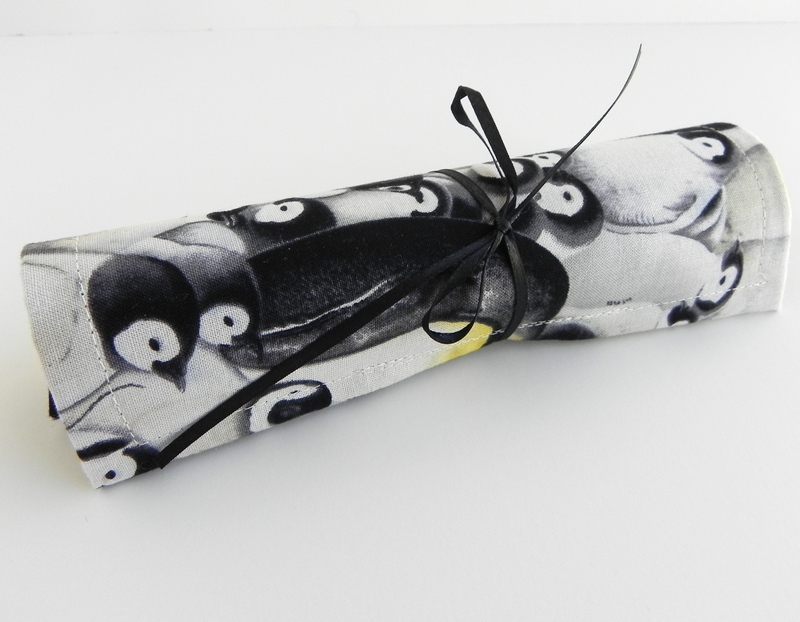 I used this fun penguin fabric that I had on hand. I bought the chalkboard fabric in January to make one of these for Bennett. I over bought, so I was glad to be able to use some more of it up! It looks like I used a binding, but it is just the backing fabric folded over in a roll seam with mitered corners. This entry was posted in Busy Bag, fabric, Stash busting and tagged Activity, Busy Bag, fabric, preschool, sewing. Bookmark the permalink. How did you make them? They are so adorable and I know I can use them with my nieces and nephews! Did you use any adhesive ? No, I didn’t use any adhesive.